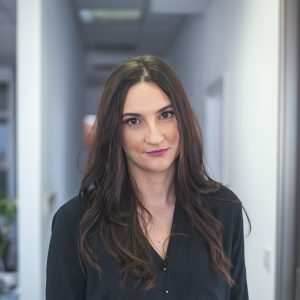 Andreea Manaila joined the BeFlexi team in 2016 and has since become an increasingly accomplished member of the Sales team. We asked her some questions to find out more and want to share it with you. How did you first get into the flexitank industry? I realize now that I have been with BeFlexi for exactly two years. Time flies, especially when you are in such a challenging and fast-growing industry. I came across BeFlexi when I applied for an open position in the Operations department. Despite already having some experience within freight forwarding, the flexitank industry was something new for me and I immediately wanted to learn more. The experience so far is great! Why did you want to join BeFlexi? It was like ‘love at first sight’. I knew from the first second when I met the Managing Director and the whole team back then, that I would have plenty of new things to learn from this company. Their enthusiasm and commitment made me want to immediately join in. We never stop acquiring new knowledge, and this is precious. Also, I believe that we have the right culture and people needed to face any challenges that time and the market might bring on us. Andreea Manaila, Sales Executive at BeFlexi. What is your priority for the next 3 months? I have many exciting projects that are in the pipeline, and because my approach is focused and I tend to concentrate on a target until I have achieved it, the next three months will bring about lots of research and work. They will be particularly interesting. And I can tell you from now that I have two new countries to pin on the BeFlexi map on completely different continents. What is your proudest achievement so far? Professional and personal. When I was in my fifth month working in the logistics sector, I got to work on one of the biggest projects in road transportation I have ever done before. I had to find and plan more than ten trucks per day to load and discharge at fixed times in different countries of the EU during holiday season! The biggest challenge was that, back then, my network of suppliers was still small, so I had to carefully select new vendors and win their trust, while at the same time keep offering the best services to my customers. Managing to complete that project without delays or claims, increasing the company’s visibility locally and making new friends, was both a professional and personal achievement for me. What is interesting/surprising about you? When I was a child, my dream was to become a forensic detective. Maybe that’s why I still enjoy reading detective and crime fiction so much. Sometimes I get so mesmerized by this world that I end up reading all day long without realizing it. Connect with Andreea on LinkedIn.